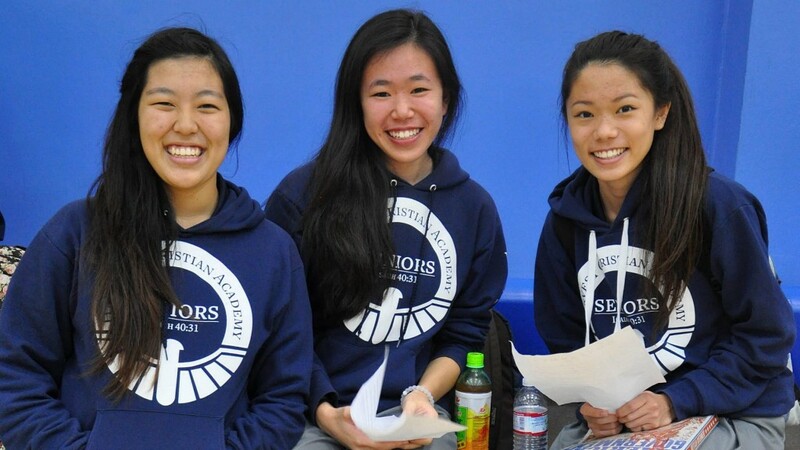 HCA is an outstanding K-12 school committed to providing the absolute best academic experience. From our inviting and comfortable preschool all the way up to our college preparatory high school, your child will be welcomed and lovingly pushed to his or her maximum potential. With age-appropriate methodologies, our teachers build critical thinking skills along with mastery of all the traditional core subjects. HCA administrators use regular evaluations, accreditation protocols, and yearly standardized test scores in a continual process of school improvement to give our families, not only the very finest school experience but also the best preparation for the future. HCA maintains its accreditation through - MSA (regional), NACSAA (national), and AACS (national). HCA's preschool and Kindergarten program is committed to partnering with parents in shaping an extraordinary future for your child right from the start. The foundation is the most important part of any construction. This is true for young minds. The foundational networking of a child's brain begins before birth and continues through age five. Your child's foundation begins at home and the continues in the classroom. 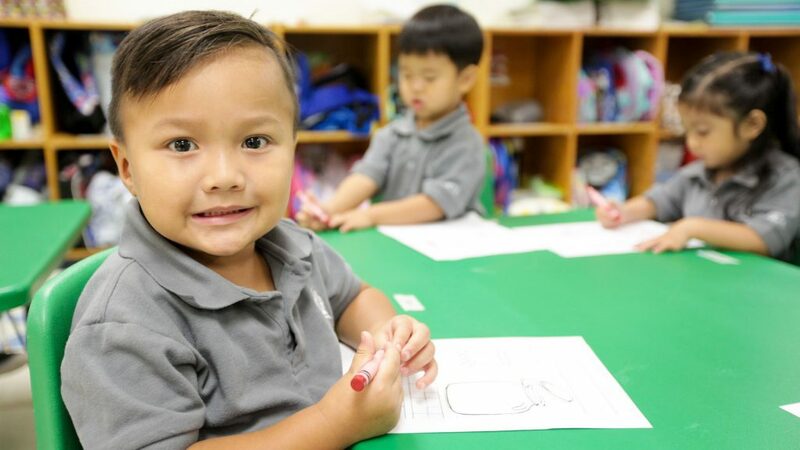 HCA Pre-K and Kindergarten programs provide: a language rich environment, opportunities for academic development and well supervised social interaction. We build on the solid foundation begun at home and solidified in the preK-K5 years. As an extension of the training at home, we partner with parents to teach character development and the skills necessary for academic, spiritual, social, and emotional maturation. The first through third grade years focus on developing literacy through teaching phonics, fluency, and comprehension. In these early grades, students develop their writing skills and begin exploring history and science, with a biblical worldview, in order to be equipped for the challenges of upper elementary and their future academic pursuits. 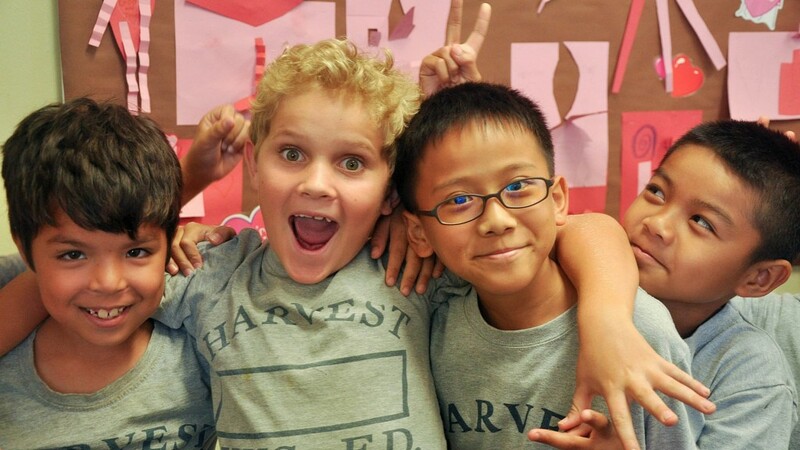 In our upper elementary classes, students have the opportunity to change classes twice daily as they enjoy all three teachers in the grade level. 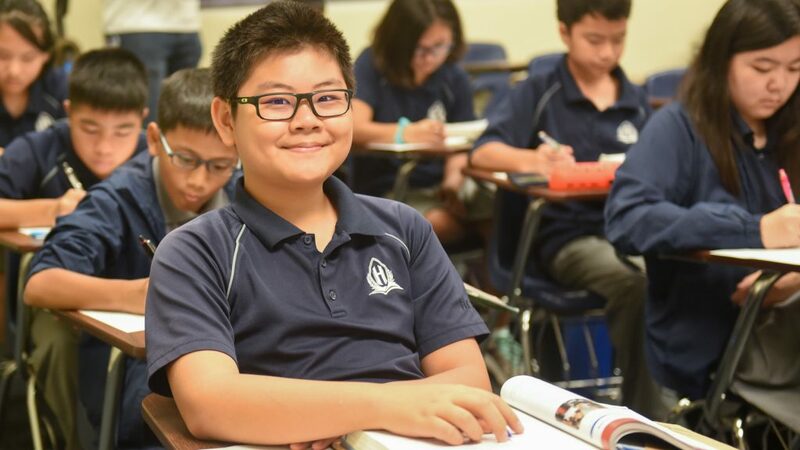 Each teacher prepares for one of the core subjects: English, reading and math, and then the students spend the rest of the day with their homeroom teacher studying science, history, spelling and Bible. Advanced math classes are available for 5th and 6th grade. 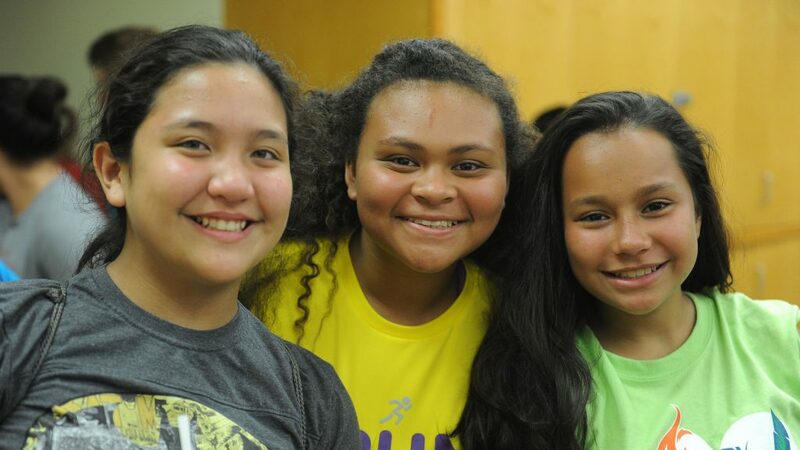 Students enjoy many activities which apply what they have been learning in class: Immigration Day, Guam History Project, Wall Street Day, Dinosaur Dig, Earthquake models, and Greecian Wars are just a few events that make 4th-6th grade memorable! As students prepare for high school, these years in middle school do not count towards the high school transcript, but they set the performance standard for how students will do in 9th grade and beyond. Our teaching staff encourages discipline, good study skills, and lots of great discussion. Students have 5 core classes each day: math (advanced sections available), history, science, English and Life Skills. P.E. is offered along with reading and music (7th grade) as a required block. A number of electives are available as students have the opportunity to try new activities or continue to develop skills. Some of the electives include: Middle School Band, Art, Speech, Advance Problem Solving, Choir, Beginning Ukulele and Computer. High school students at Harvest are well prepared for a successful college career. We have an excellent college prep curriculum that is customizable. There are dozens of elective classes that include AP courses, foreign languages, visual and performing arts, computer programming, graphic design, coaching, and home science. See High School Graduation Requirements and Courses for more information. Teachers emphasize sound principles of critical thinking, precise writing, peer collaboration, and cross-curricular connections. Our desire is to make learning memorable and engaging. HCA alumni graduate with a solid academic foundation that will prepare them for future success and give them an appreciation for life beyond the classroom.